The layout of the tables and serving areas were well thought out and gave easy access to all our guests allowing them to socialize and enjoy the various offerings. We received numerous compliments about this special morning. 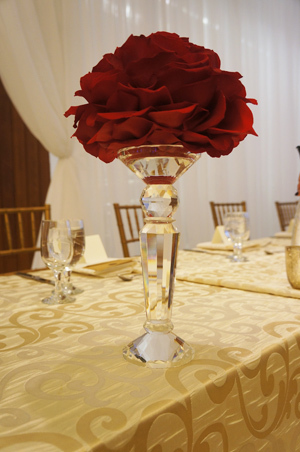 Adath Israel provides a wide selection of elegant and functional spaces which can enhance your celebration or event. We are happy to accommodate you based on what is best suited to your specific occasion, from hosting a small family dinner to planning the opening of a major community gathering. 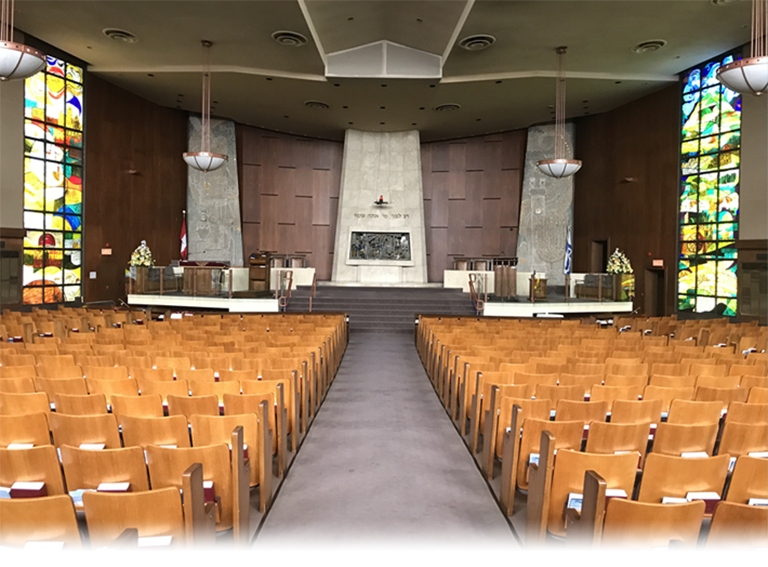 The Synagogue is located mid-town at Bathurst and Highway 401 which makes it both central and easy to access and there is a large parking lot for attendees. To plan or book an event or for further information, please contact Linda Reisman, Lifecycle Event Manager, at 416.635.5340 ext. 309 or linda@adathisrael.com. The Sanctuary at Adath Israel is both gracious, elegant and photogenic. There are 944 comfortable seats surrounded by 10 magnificent stain glass windows. The balcony can hold an additional 226 people. 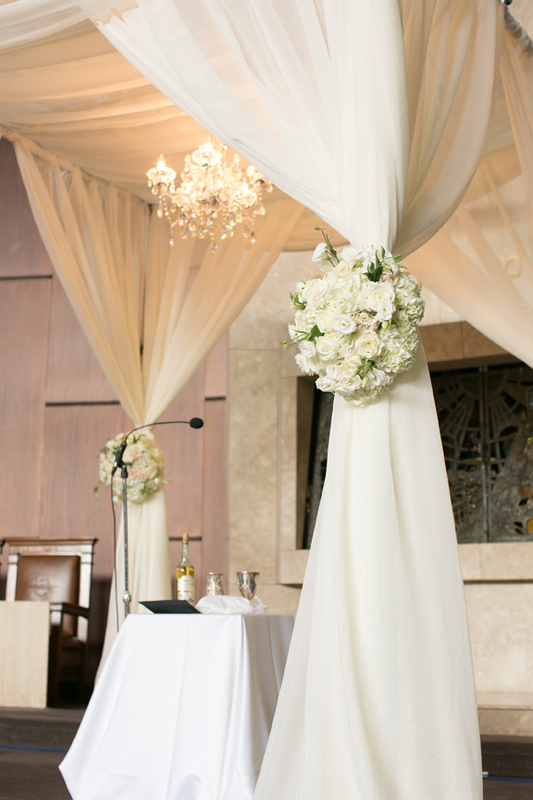 The main Sanctuary is a multi-functional area, that is beautiful for religious ceremonies; weddings and B’nai Mitzvah or personal occasions like a baby naming, or an aufruff. Its size and flexibility also makes it an exceptional choice for concerts, lectures and public/community ceremonies. In addition, there is a built-in audio-PA system. Outside the Main Sanctuary there is an excellent space to host cocktail parties, display Exhibitor materials or have breakout discussions. Behind the Sanctuary there is also a Bride’s room and guests have access to two coat check facilities situated in the lobby area. On a more intimate scale, one can choose the Donnenfield Chapel which seats 90 people. There is space to add additional chairs at the back which can increase its capacity to hold 160 people, when needed. This beautiful Chapel with its modern stained glass windows is the perfect location to host smaller weddings and B’nai Mitzvah and personal events. These two social halls are located on the Main Floor. This is an excellent flexible space that consists of 2 halls which can be used independently or together to accommodate larger events. The rooms have been fitted for audio PA systems. This newly renovated hall is located on the lower level. It has both upper and lower portions, but each area is easily managed with both stairs and a ramp. Newly installed carpeting and lighting make this a very attractive multi-functional area. 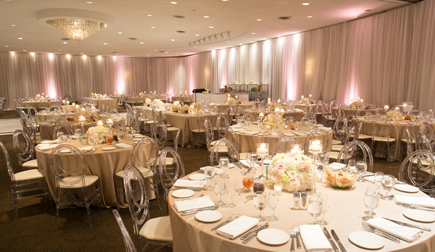 This social event hall is on the lower level and is easily accessed by stairs and an elevator. It is decorated in warm ivory tones. 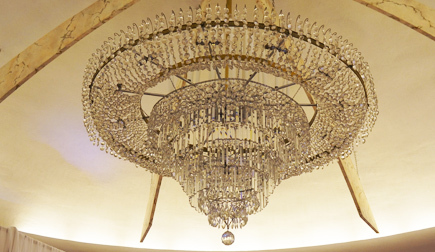 The Ulrich Hall is an excellent space for social events, meetings, Family Passover Sedars.